This room is basically two long hallways, it leads from the main part of the house to the laundry area, then outside (to where the detached garage will be, one day). It’s a work in progress, they still plan on adding cabinetry, countertops, and a built-in mudroom area near the door. Alright, so, plain sealed concrete floor. 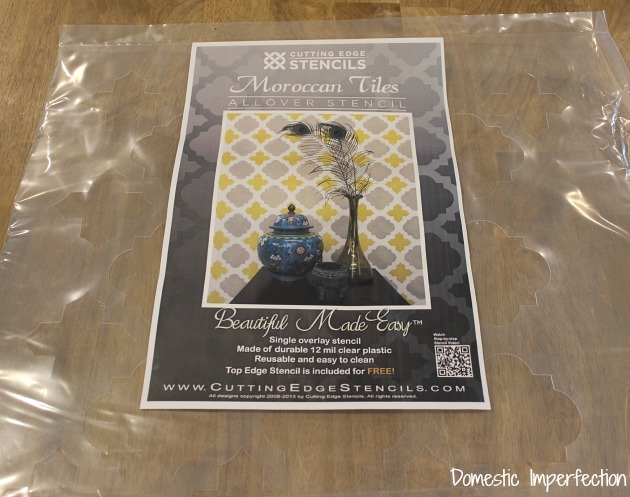 Enter the Moroccan Tiles Allover Stencil from Cutting Edge Stencils. The plain concrete actually looked pretty great, so we decided to make things easy and use that as our base color. 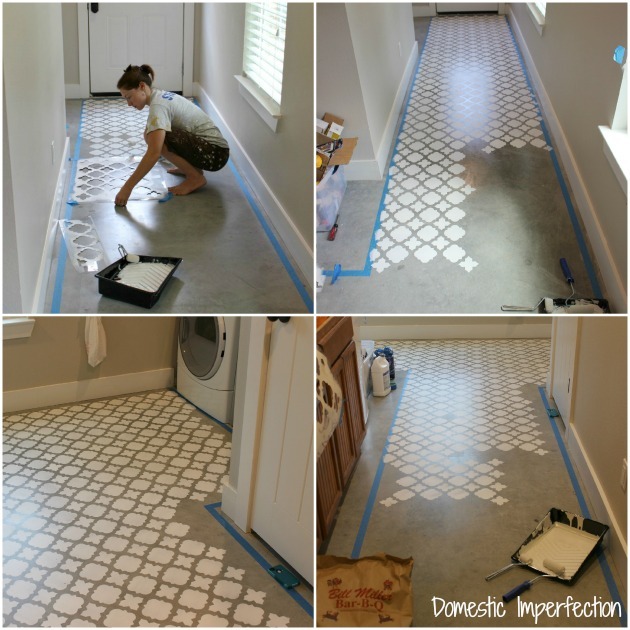 And instead of stenciling the entire thing wall to wall (it’s really hard to stencil corners, and her trim is already installed) we decided to create a long stencil path. 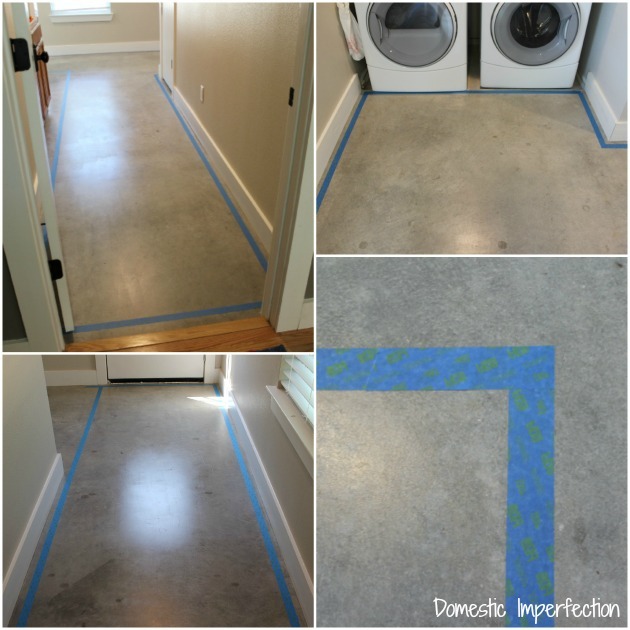 So we taped off the area we wanted to stencil using some ScotchBlue painters tape and exacto knife to cut perfect corners. It looks like dirt that can be swept away, but it was thick mud had to be scraped off with a putty knife and hose. Then the kids all got the hose treatment too (because they of course wanted to come in immediately after getting muddy). That was hour one…many more hours of kids craziness and destruction were to follow. All in all the floor took us 12 hours…but without kids it would have taken us about a third of that. Oh, the joys of motherhood. At about 7pm Adam (my husband) came and took our two kids and dropped off some Bill Millers BBQ. Abby put her kids to bed and it was all fried chicken, wine, and smooth sailing from there. I had originally wanted to put a border around the edges of the stencil, just a one inch solid white line. But when we pulled up the tape it looked so good that we left it. I thought it would look unfinished without a border, but the lines are crisp and it looks plenty finished. The next day Abby put a coat of sealer over the whole thing and I’m thinking it’s going to hold up really nicely. Wow, Ashley, that looks fabulous! 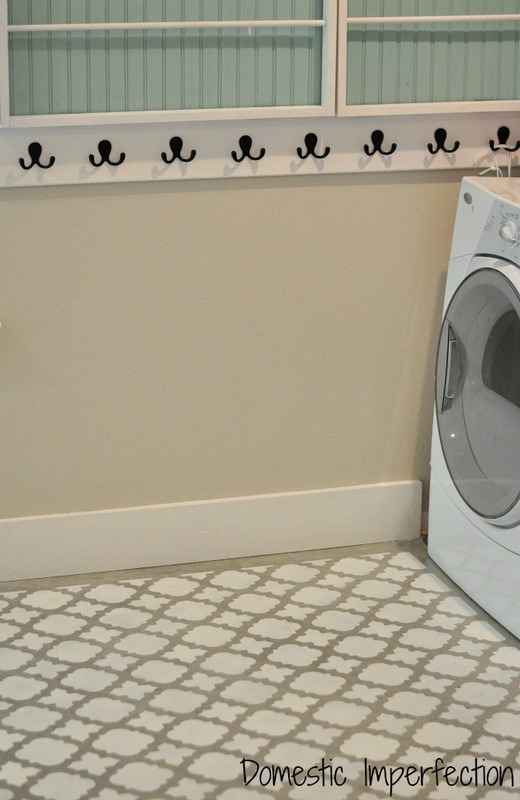 What a great way to deal with a concrete floor, and so clean looking for the laundry room. Oops…I actually didn’t mean to make that a link party, I was just trying to link to my other stencil projects. 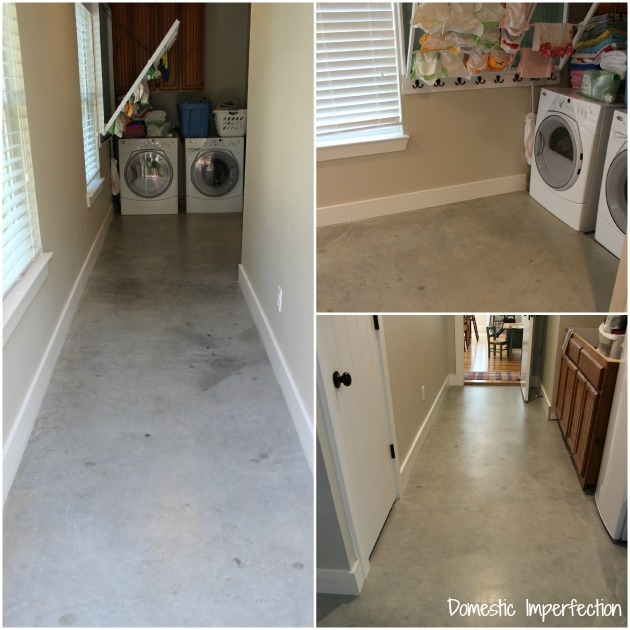 Your floor looks amazing….and for zero dollars! It doesn’t get better than that. I’m going to pin your floor to a few of my group boards on pinterest to make up for being a big link party tease. It looks great! I am especially in awe that you did it with all the kids in tow – I have yet to stencil anything in my home – but I have a table that I would love to give a new life to – thanks for the opportunity to win a great stencil! 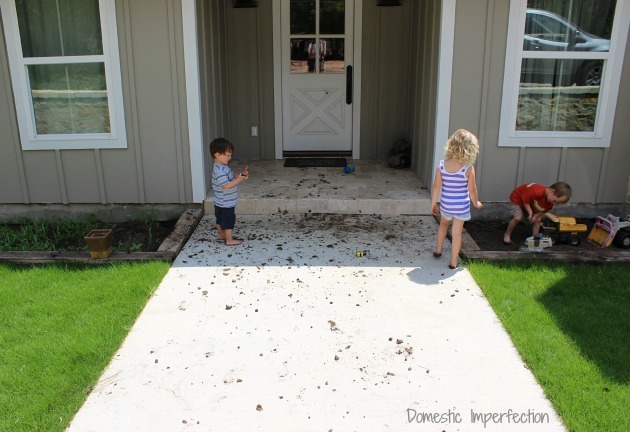 Having the kids around was definitely the hardest part of this project! Tables have to be my favorite thing to stencil, simply because they’re simple to do and don’t take long. It’s a good place to start! Okay, I thought it was going to look like a hot mess…but I love it! I think we will be doing this to our garage floor. I really like that stencil and it looks like a really easy process. Thanks for the giveaway! Ha…it certainly had hot mess potential! 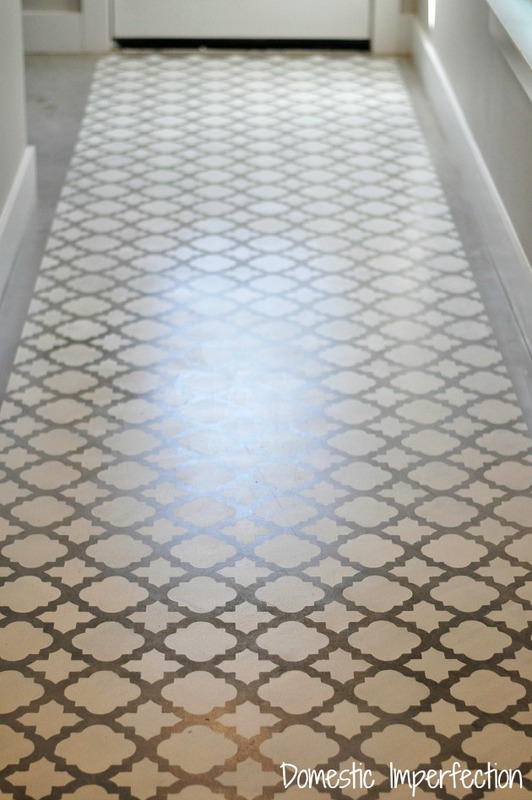 I think the trick to stenciling a floor and having it not look crazy is using a small, repetitive pattern. Or if you have your heart set on a big pattern to make it VERY tone on tone…to where you almost don’t even notice it. This turned out really pretty – the unfinished concrete goes great with the wall color! and tag-teaming it was such a great idea, makes it much more fun. I was just telling my childhood friend the other day that we NEVER should have stopped helping each other with “chores”, because it made it so much more fun!!! Great Job, and thanks for the awesome giveaway!! I agree, friends make projects so much better! Or even just doing something that’s not in your own house is a nice change. I remember as kids my brother and I would sometimes clean each others rooms just for a change. My room was always messier though, so jokes on him, haha. 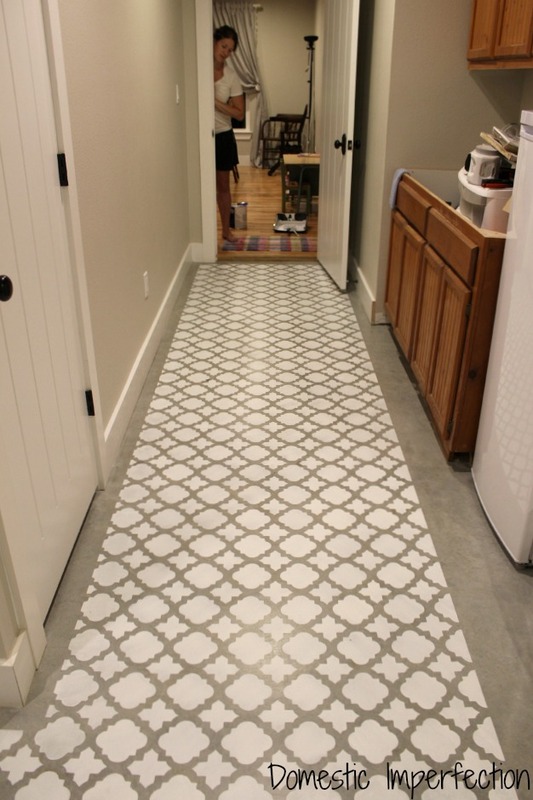 I love how your floor turned out, great job!….I stenciled my bedroom wall and entry wall…it always gives such a dramatic effect. Fantastic. Very beautiful post. Thanks for sharing. 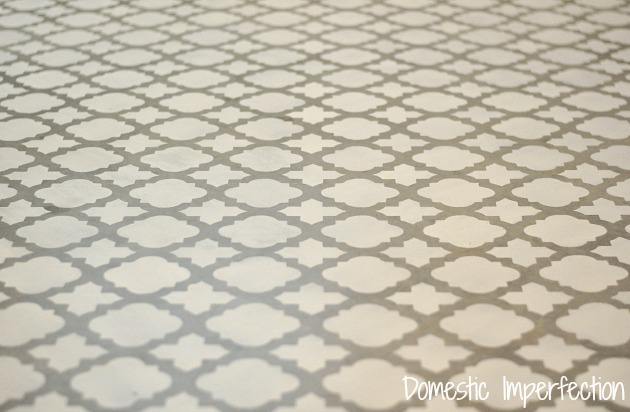 This floor stencil looks beautiful and it goes great with wall color. It looks like it is done by some professional as it looks perfect. It’s awesome!! just like a dream house to me and I wish if I could decorate my home like this..the concrete color, stencil floor..really wonderful. Just last year I have bought a new home in 1 Yacht Rd and decorated it with an interior designer. I am quite happy with her work but I have decided that I will stencil my floor later as Abbey has done as it has impressed me a lot. Thanks! 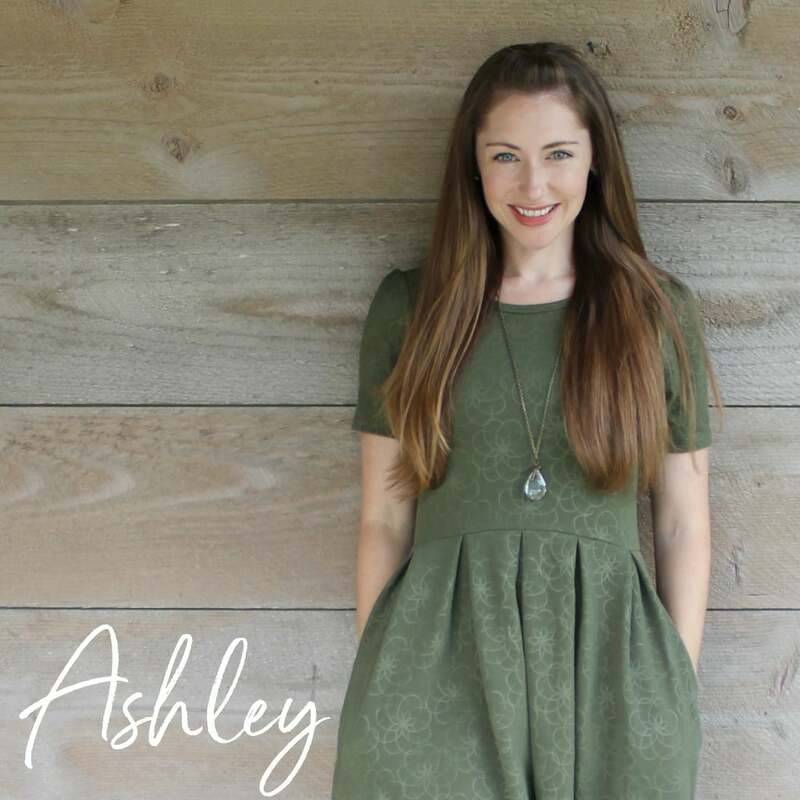 Ashley for sharing this post. Now this is my subject. This is really creative ideas. I just love it. I love your floor design, Ashley, you are so cool. This is incredible! i love the look! Any chance i can find out where that drying rack is from? taht hung out at an angle from the wall? Thanks! This looks incredible! Did you have to do anything to the concrete before you painted it? I believe my friend cleaned and sealed the concrete before we started stenciling, then sealed it again after we were finished. I absolutely love this idea and really hope I can try it one day.. you have a patience of a saint! I’m going to be doing some home renovations soon, and part of those renovations requires me to cut some concrete. I’m not sure how to do this though. That being said, I really appreciate you showing me how I’m supposed to go about stenciling it to make sure my lines are straight. I’ll make sure I do this right away and see how much it helps. Thanks a ton Ashely for letting me know how to do this. I am getting ready to do this in my husband’s mancave. 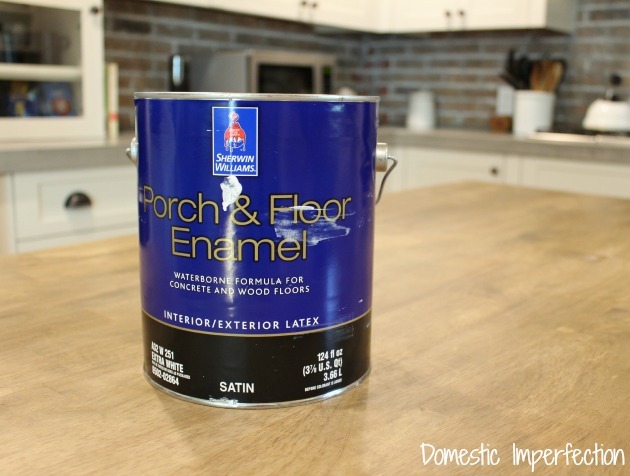 What type of sealer did you use? I am just worried that it will make it slippery if it’s wet if I seal it. It is a high traffic area so I want it to be as safe as possible with kids in and out of the door. I actually don’t know, I just did the stenciling part. I do know it was a sealer from Sherwin Williams, since she bought the paint and sealer all in one trip. Wow, that concrete floor looks great. I have never heard of someone stenciling cement before, it’s a great idea. We’ll have to look for something like this for our concrete walkways! Thank you so much for the inspiration! 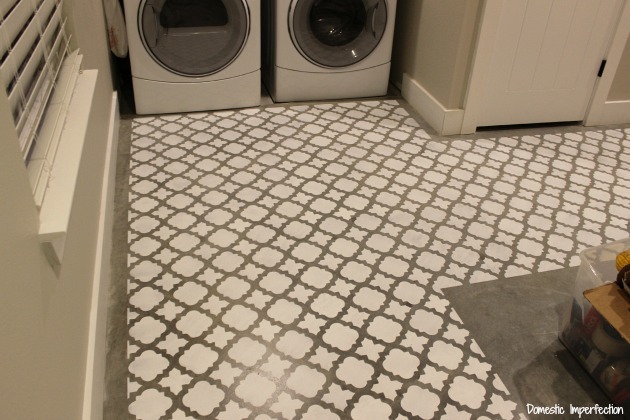 We pulled 20 year old vinyl in our laundry room and I stenciled the concrete with another amazing stencil from http://www.cuttingedgestencils.com. It turned out great! Choosing your flooring design makes your home more elegant in the eyes of others. Transform it into polishing your concretes. You did a right choice, polished concrete is one of the most popular for this day. Wow! What a great way to jazz up concrete. Is it still holding up well? I love how the concrete floors turned out. I couldn’t agree more with not putting a white line on the edges. 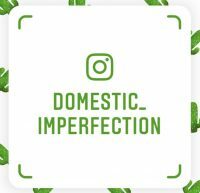 It looks perfect! Just one question-What sealer did you ise to seal it? I love how the concrete floors turned out. I couldn’t agree more with not putting a white line on the edges. Did you need adhesive for the stencil? What did you use to seal it ?